Just had a fascinating email from a kind reader who wishes to remain anonymous. 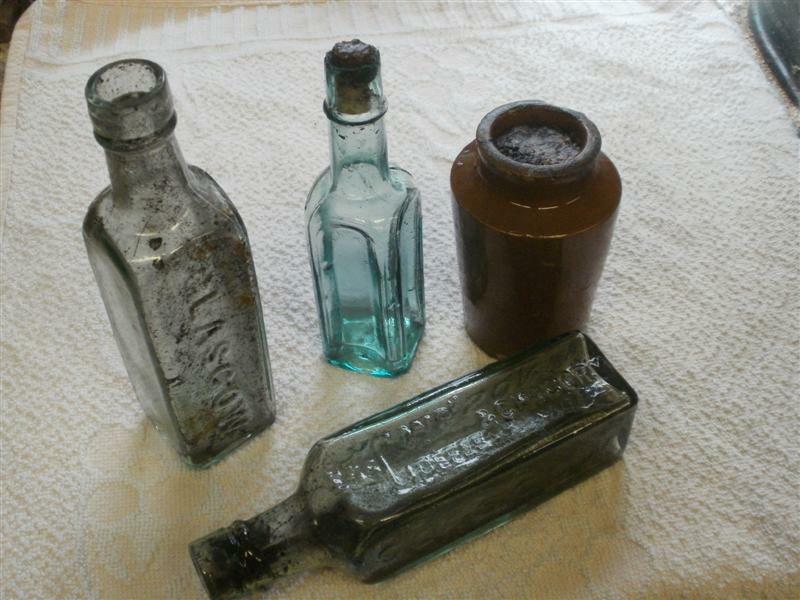 He’s been pottering around a a site in Brownhills (he’d rather not say where, for obvious reasons) and he’s found some interesting old bottles. He’s like readers help in identifying what they may be. Recent finds at a mystery site in Brownhills... but what did they contain? Image supplied by a reader. It’s suspected that one bottle may have contained Camp Coffee mix, but the earthenware jar is of particular note. Any ideas, folks? Comment here, please, or BrownhillsBob at Googlemail dot com. Thanks. This entry was posted in Brownhills stuff, Environment, Features, Fun stuff to see and do, Interesting photos, Local History, Local media, Reader enquiries, Shared media, Shared memories, Social Media, Walsall community and tagged Brownhills, Brownhills local history, camp coffee, earthenware, enquiries, found items, jar, Local History, Mystery, New Photos, old bottles, old refuse. Bookmark the permalink. Earthenware one is probably an ink jar. Brings back memories of digging for bottles in the 1970s at Sandon and Whittington Hurst. I dug a lovely blue poison bottle that my uncle tried to buy for 50p, even tho’ they were then worth three quid… also dug up pot lids and a gin trap….. you need to know where the dumps were.